Audi 90 PDF Workshop and Repair manuals, Wiring Diagrams, Parts Catalogue, Fault codes free download! The Audi 90 is a mid-size car produced by the German concern Audi from 1987 to 1991. Audi 90 completed the lineup of family sedans with improved aerodynamics. The main rivals of the Audi 90 were the Mercedes 200 series and the BMW 5 Series. In general, the Audi 90 was developed on the basis of the second generation 80, which turned out a year earlier and had a very good success. From its four-cylinder predecessor, 90 received a corps. A tougher suspension is standard in only four-wheel drive versions. In addition, these same versions have anti-lock braking system. The aerodynamic resistance of the Audi 90 models has dropped from 0.39 to 0.31, making them very fast. Sedan 90 got a front spoiler, painted in body color. All-wheel drive versions also had a rear spoiler, in line with cast disc wheels and disc brakes. 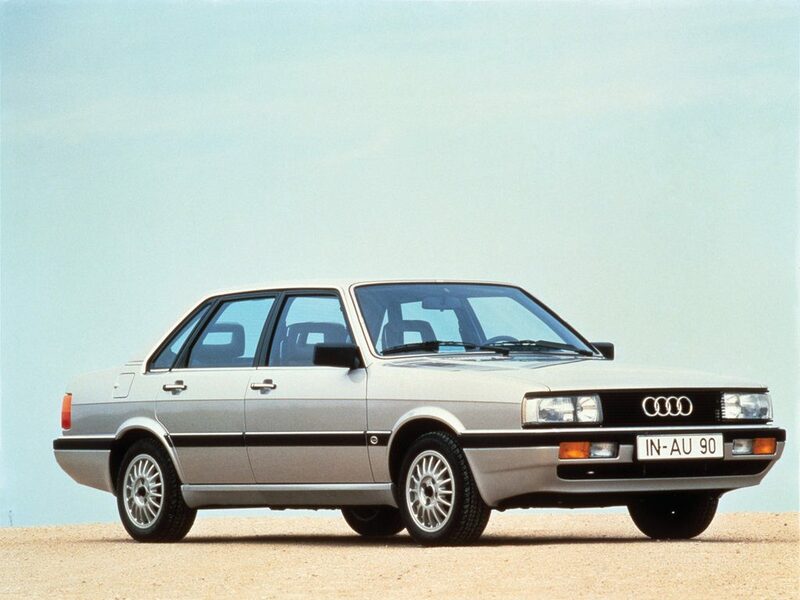 In Europe, the Audi 80 was a standard model, and after 1984 the appearance of the Audi 90 was a large-scale version of 80 – that is, with more variants: in addition to the turbo diesel that was available for 80, there appeared two 5-cylinder gasoline engines of 2 liters and 115 hp (160 hp), as well as 2.2 l and 120 hp (136 hp), which was later modified in the 2.3-liter.